The artist in her studio. Photo by Roxanne Pandolfi. Artist Helen Scanlon has been drawing ever since she could hold a pencil. 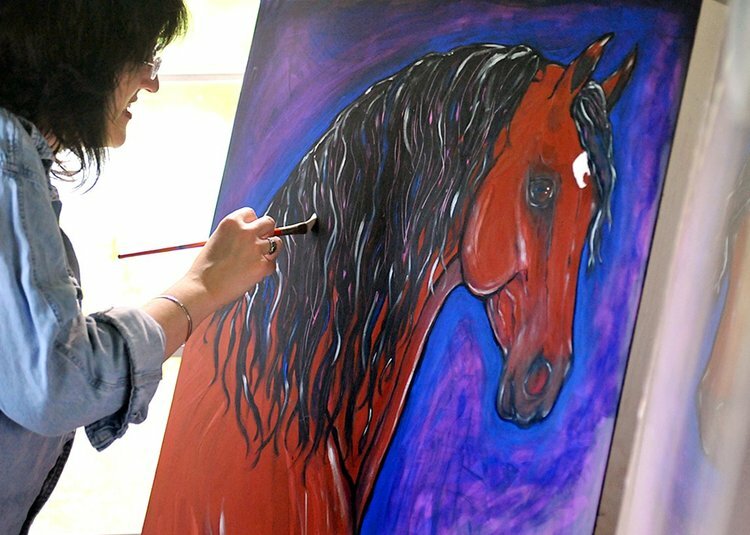 Horses soon became her favorite subject to draw and paint, and growing up on a farm gave Helen many opportunities to draw them from life. In college, she studied dressage and worked as a groom at a large dressage facility. She was able to draw extended trots, collected canters and horses “on the bit” directly from the source. One of her greatest joys was the hours spent in study of training sessions and clinics. 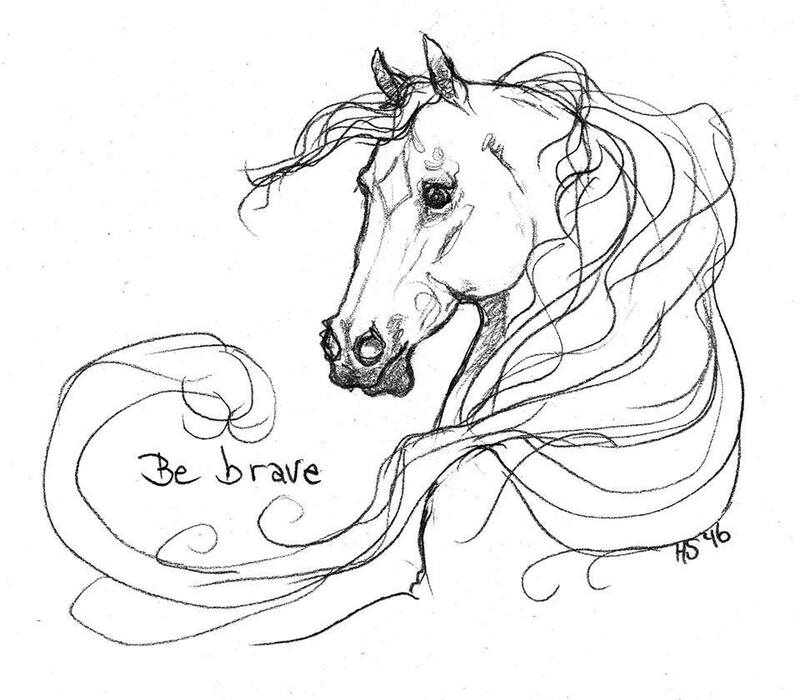 A Connecticut native, Helen Scanlon had her equine artwork published in an Arabian horse journal at age 13. As an undergraduate in 1990, Helen had her first gallery show with other accomplished artists, which received excellent reviews and was listed in Connecticut magazine. 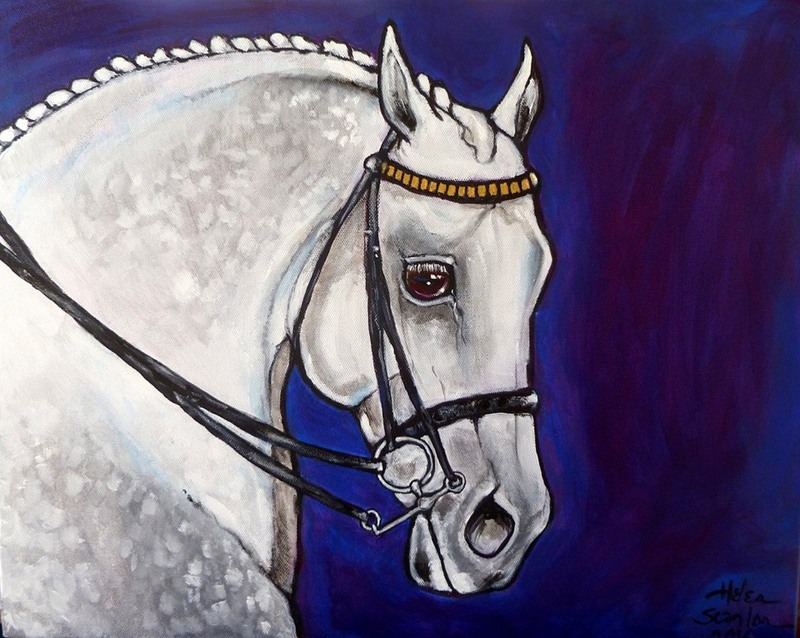 Her artwork has been published in Polo Players’ Edition and Connecticut Horse magazines, and is featured in collections in the USA, Canada and the UK. See and purchase more of Helen’s work here. Commission inquiries are always welcome, contact Helen.